A "rotunda" – featured in Classical and Neoclassical architecture – is a circular building or room covered by a dome. 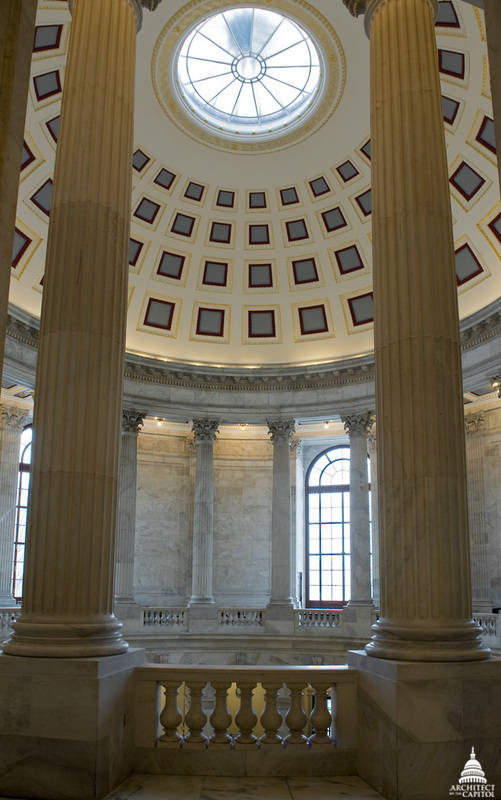 The U.S. Capitol's Rotunda is among the most recognizable and hallowed spaces within all of America's public buildings. 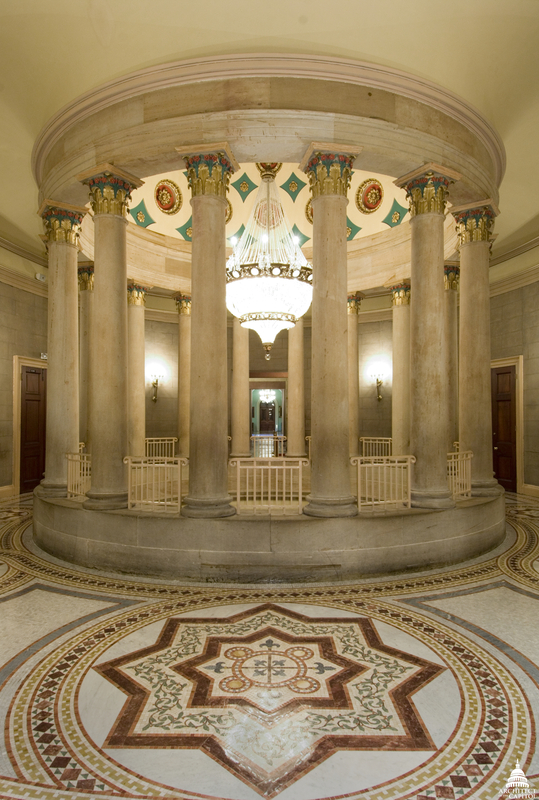 This "Grand Vestibule" is home to many sculptures and historic paintings, including The Apotheosis of Washington, and a frescoed band, or "frieze," depicting significant events in American history. The Rotunda is also used for important ceremonial events, such as the lying in state of eminent citizens, the awarding of Congressional Gold Medals and the dedication of works of art. During August, the Capitol's Rotunda is closed to prepare for restoration, but it's not the only room of its kind on Capitol Hill. Below are six other rotundas to explore. 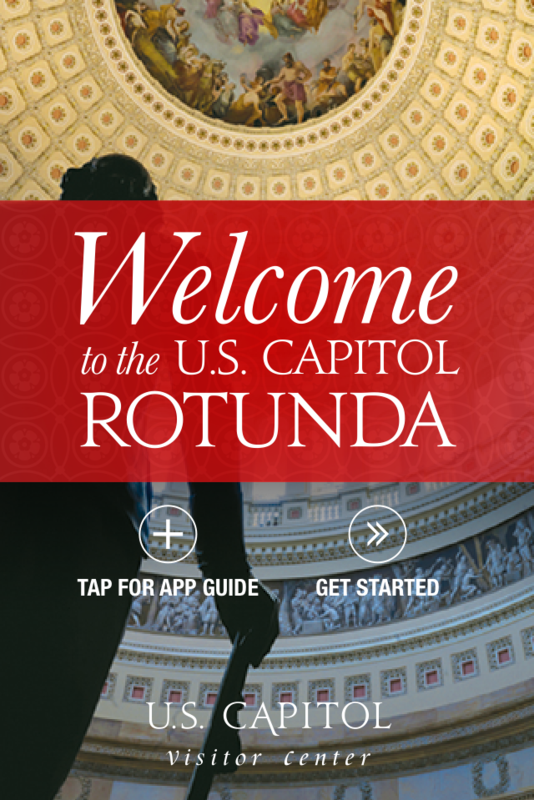 Download this app developed by the Capitol Visitor Center to access the U.S. Capitol Rotunda any time. Use the app to take a virtual tour of the Rotunda with the help of 360-degree imaging, learn about each of the art pieces, explore the ceiling's fresco painting, learn about the types of ceremonies that occur there, discover how it was once used as a hospital and more. 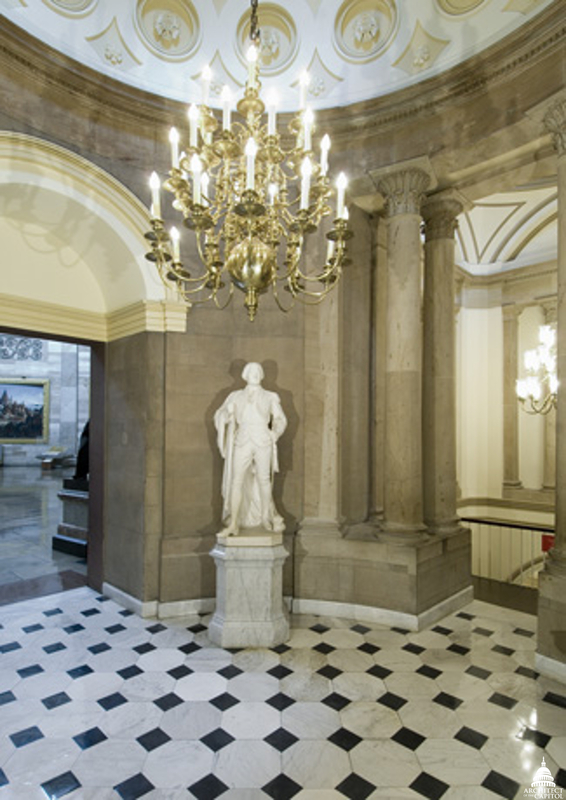 Consisting of an upper level and a lower level via a circular staircase, sculptures in this space span two centuries, including the bust of George Washington, the bust "Lincoln the Legislator" and the bronze Amateis doors. This area of the Capitol was originally constructed after the fire of 1814 as a means of lighting the corridors and circulating air. The chandelier installed here in 1965 attracts a lot of attention today – it's estimated to have 14,500 crystals and weigh nearly 2,000 pounds. Featuring eighteen Corinthian columns, an entablature, a coffered dome and twin marble staircases leading to a Caucus Room, this room is typically flooded with natural light. Its double height windows create picturesque views of the Capitol and its grounds. This three-story rotunda, structured much like the Cannon's rotunda mentioned above, is often reserved for art exhibits and choral performances. A statue of Senator Russell, for whom the building is named, stands in the Russell Building rotunda. 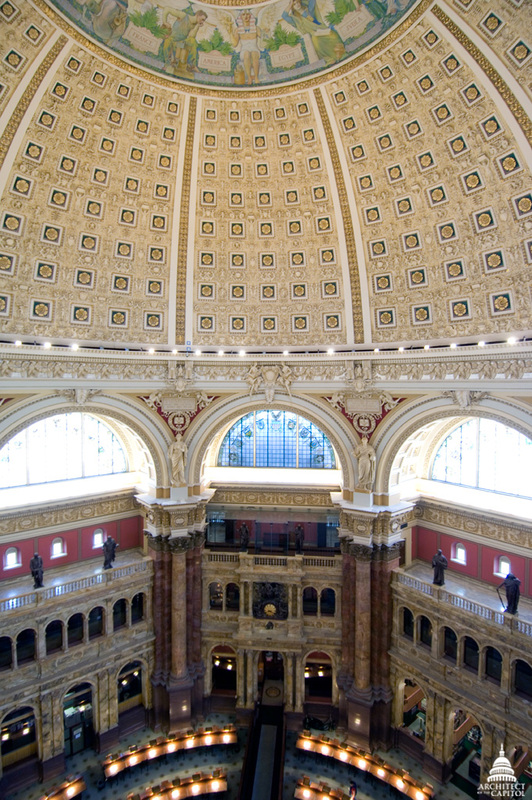 After entering the Great Hall on the first floor, take the elevators or marble stairs to the third floor Visitors' Gallery to view this rotunda area, more commonly known as the Library of Congress' Main Reading Room. Very exciting to see all of the architecture within the nation's capital! Adding these to my sight-seeing list.